The history of Flitwick is rather uneventful. It's perhaps best summed up by J. W. Moore in the introduction to his book 'Flitwick: The Story of an Old Bedfordshire Village'. Unfortunately, from a historic point of view, it seems to have run an uneventful course. These are no great things to record, and little things are not only all the harder to find out, but are as a rule of less interest to the general reader, when they are found out. Mr Moore helps to put this in perspective in a later chapter by looking at the population of Flitwick as it was recorded in the Domesday survey in 1086. So Flitwick had a population of 17, whilst Bedfordshire as a whole had a population of only 3,891. In the Royal Survey made in 1674 of all the houses in the country, the number of inhabited houses in Flitwick is recorded as 70 which would mean a population of 280 to 300 people in that year. 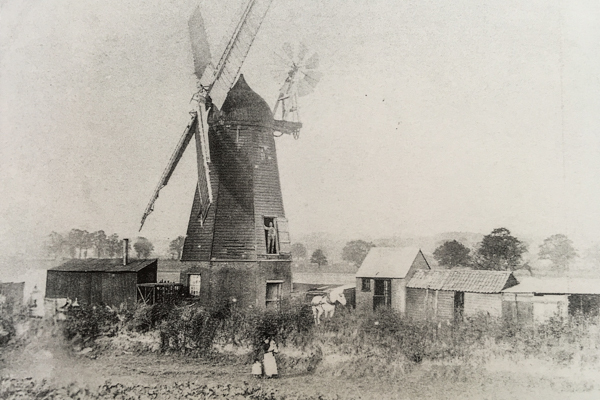 The windmill stood near the junction of Windmill and Steppingley roads. The miller Dr Deacon stands in the first floor doorway. Mrs Deacon with two of their nine children stand in the field in front. This smockmill was built in 1843 by Thomas Course of Bedford and had one pair of French stones and one pair of 4ft Peake stones. It was burnt down during the night of November 10th 1903. The 1864 burial register records that H. Sharp dies from a "blow from sail" possibly from this mill. Flitwick Manor has been owned by many families, with no one family dominating its history. In the Domesday survey William Lovet and Nigel de Albini are listed as the leading landowners in Flitwick. 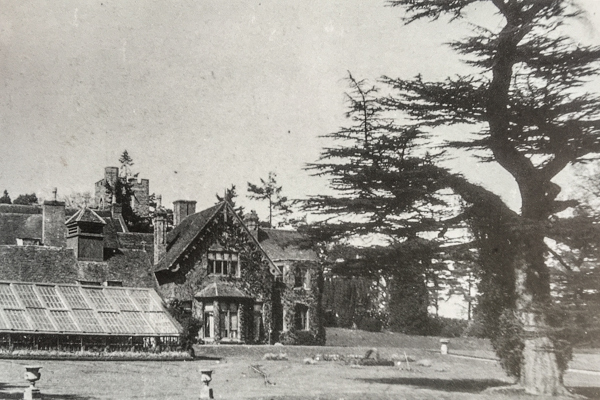 In the Summer edition of the Bedfordshire Magazine, it is noted that Flitwick Manor is offered for sale for the first time in 314 years, and includes a "fine pinetum of eleven acres." 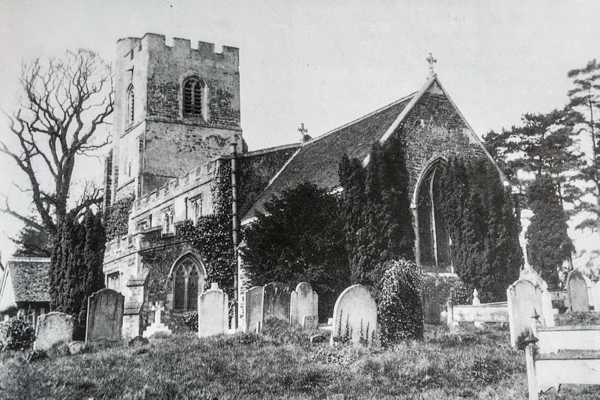 The Grade I listed church of St Peter and St Paul represents the earliest standing structure in modern Flitwick. 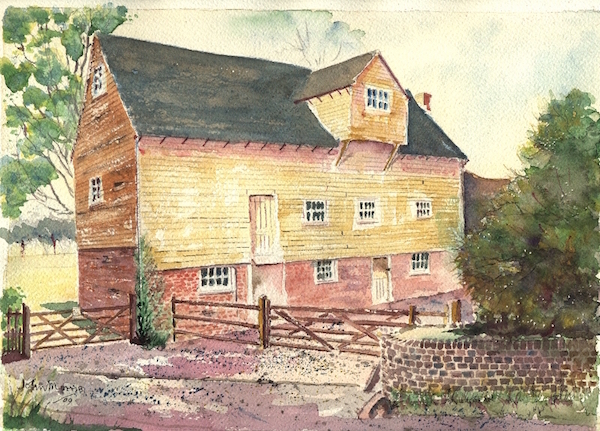 The mill is a great choice of subject for photographers and artists. 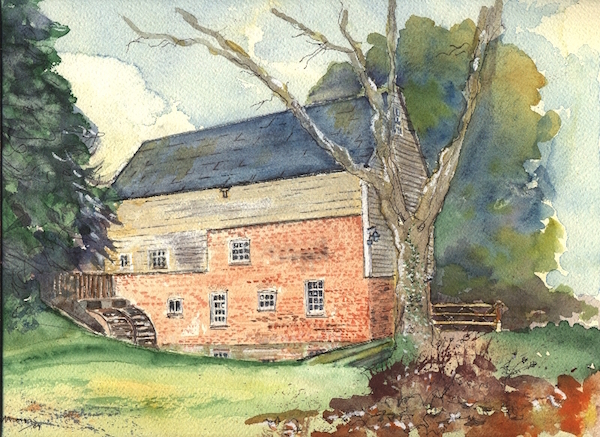 John Morris, who is a local artist, has captured both the North and South faces of the mill in these charming watercolours.